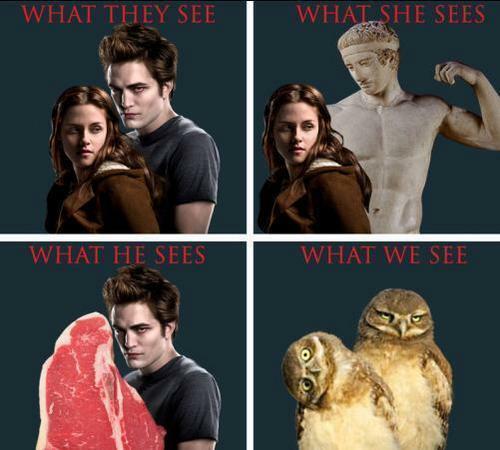 How Twilight is Seen by Everyone. How Twilight is seen by Edward, Bella, Фаны and critics.. Wallpaper and background images in the Critical Analysis of Twilight club tagged: twilight critical analysis edward bella funny anti. I like the sneering owl. He very much has Edward's main facial expression down. Now all he has to do is master the look of self-loathing, and the owl will have covered all of Edward's range of facial expressions.